Toyota is making tons of money and is looking to cut its product offerings, extreme corruption within the UAW, and is Elon Musk a commenter? All that and more in The Morning Shift for November 6th, 2018. Toyota, a large corporation, is just swimming in money these days. Practically Scrooge McDuck jumping into his big money pool. The company posted an 11 percent increase in profit, Automotive News reports, to the point where in the last quarter alone it made over $5 billion (yes, billion) in pure profit. “We are taking a hard look at all of the segments that we compete in to make sure we are competing in profitable segments and that products we sell have strategic value,” Jim Lentz, the company’s North America CEO, said here after the automaker reported a rise in quarterly profits Tuesday. Though it doesn’t take the biggest brain genius in the world to guess that the 2019 Toyota Supra, which Toyota actually unveiled a long long time ago but is now claiming will “debut” in Detroit in January because maybe they all think we were hit on the head or something, was probably going to have a convertible variant seeing as it’s heavily based on the BMW Z4, but now may not. But there’s also the Toyota 86, which is a coupe, and which Toyota seems to despise even making. It refuses to do anything at all with it. More power? No. Convertible? No. Hot update? No. Racey version? No. Luxurious version? No. Hybrid version? No. These aren’t necessarily things I would personally want, but it’s something that a company making five billion dollars a quarter, not in revenue, in actual profit, could conceivably do in about half a minute. But Toyota refuses. Might as well consider that dead, too. But the Supra and the 86 would barely be blips on Toyota’s sales radar. The company would need to look elsewhere to slash its lineup in a meaningful way. The Avalon and Camry are relatively new, so they’ll probably be around for a bit. The Prius is an important Toyota icon at this point, so it’s staying, too. 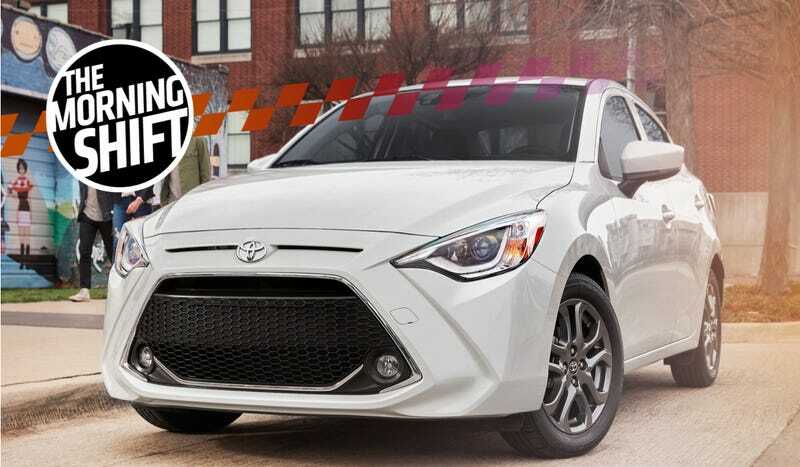 The Yaris Liftback? Can probably kill that one. Same for the regular Yaris, AKA the Toyota iA, AKA the Scion iA, AKA the Mazda 2. That car is a delight and a joy, and therefore doesn’t fit in with much of the lineup. Kill it. The Prius C, too, why not. Americans who absolutely insist upon a small car will have to make do with the Toyota Corolla, if I had to guess. And no fun versions, either. You’ll eat your gruel and like it. And I’d be shocked if the Toyota Sienna lives beyond 2021. That thing can just be an SUV. The UAW has been mired in yet another corruption scandal for a while now, and the fallout from its embezzlement scheme revolving around a training center in which officials walked away with mortgage payments, jewelry, and other accoutrements continues. The top echelon of the United Auto Workers was so corrupt officials committed crimes out of fear they would lose six-figure jobs, travel perks and expense accounts and be forced to return to the factory floor, according to federal court filings. I really do hope that prison is more comfortable than the floor of Chrysler’s Jefferson North plant. Anyway, America’s auto workers deserve a better union than these jamokes. 3rd Gear: Maybe There’s A New Battery Breakthrough? It’s bad to base any technology on one, single element in general. It’s worse to base it on an element that mostly comes from only one place. It’s even worse than that to base it on an element that mostly only comes from the Congo, which is pretty much the opposite of social, economic, and political stability. So maybe this breakthrough has a better chance than all the other random “breakthroughs.” Here’s hoping. At 8 p.m. EST Saturday, “Truck Weekend in America” launches six-hours of truck programming that spotlights new trucks, rescue trucks, restoring trucks, how trucks are built in factories, how trucks have transformed our culture. And while trucks are cars and Cars are Good, is this all a big ad for Ford? 5th Gear: Is Elon A Secret Commenter? We’ve been convinced—CONVINCED—in the past that Tesla CEO Elon Musk has had a commenter account right here on Kinja. We’ve gone so far to try and confirm it that we’ve even had our robo-bretheren at Gizmodo send a direct message to Musk himself on Twitter to try and confirm it, but he denied it. We never went public with the story (does a full draft exist? Who can say!) because on the off chance that we were wrong, we didn’t want to be pointing the big Jalopnik blog-cannon at a random civilian. We just don’t roll like that. If we’re going to report something, we want to be able to stand by it to the end. Someone using the name Fact Checking started posting at the Tesla Motors Club forum, the Internet’s most active forum for Tesla investors, on Aug. 3. In three months, the user, whose profile information is private, has made more than 1,300 posts, often on topics such as short sellers, what was behind Musk’s thinking on several topics, and even one explanation of orbital physics. We all know Musk is Extremely Online, but how Extremely Online is he? Tesla denied that Musk was indeed the person behind the Fact Checking account, just as Tesla (and Musk himself) denied to us that he’s had a Kinja account. Maybe I’m Elon? There’s no way for you to tell, really. There is no time for discussing anything today. Use your precious commenting time to go vote instead.